Hair and how to wear it. This is possibly the most taxing part of one’s wedding ‘outfit’. How many times have you not gone to a wedding and ended up muttering something like ‘what has she done to her hair?’ sotto voce whilst pretending to root around on the floor for the programme you dropped inadvertently-on-purpose so that you could pass judgement out of hearing? 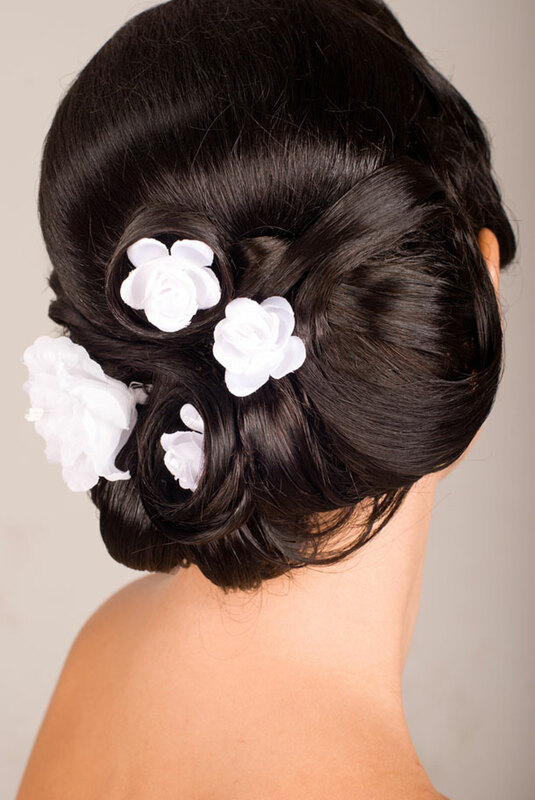 Hair is the make-or-break feature, the cherry on the top, the icing on the cake of your wedding look. Get it wrong, and it is seriously wrong. Get it right and people talk about how gorgeous you looked for years to come. Choosing the wedding dress seems to take just about all of one’s effort, finding the right shoes and jewellery comes in a close second, whilst hair limps in way behind across the finishing line, sometimes barely making it on the big day.